This seven piece wooden fairy tale figure set is great for your sandtray or for general storytelling. 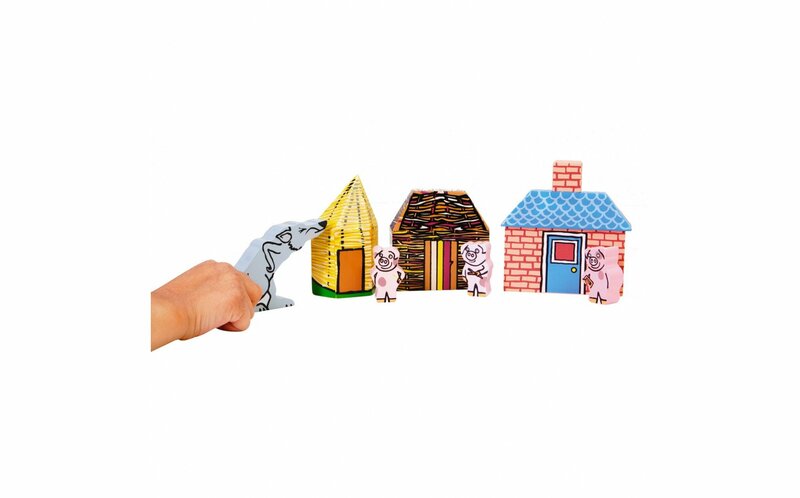 Includes the three pigs, the huffing and puffing wolf, and the fragile house of straw, the insufficient house of sticks, and the impenetrable brick house. Packed with symbolism, wisdom, and meaning. 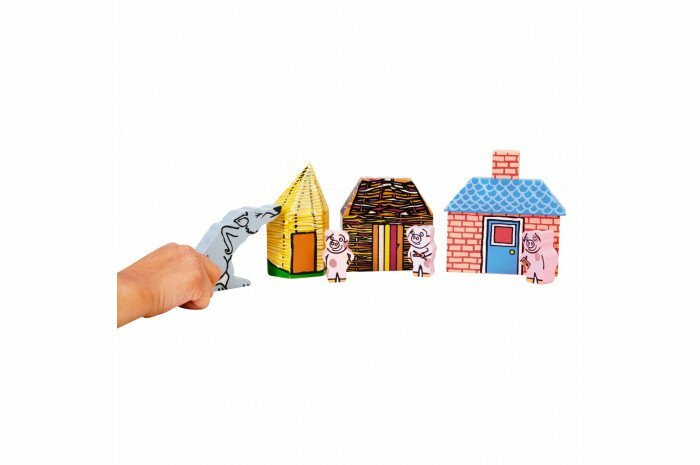 Painted wooden pieces measure 2" (the pigs) through 4.5" (the brick house).